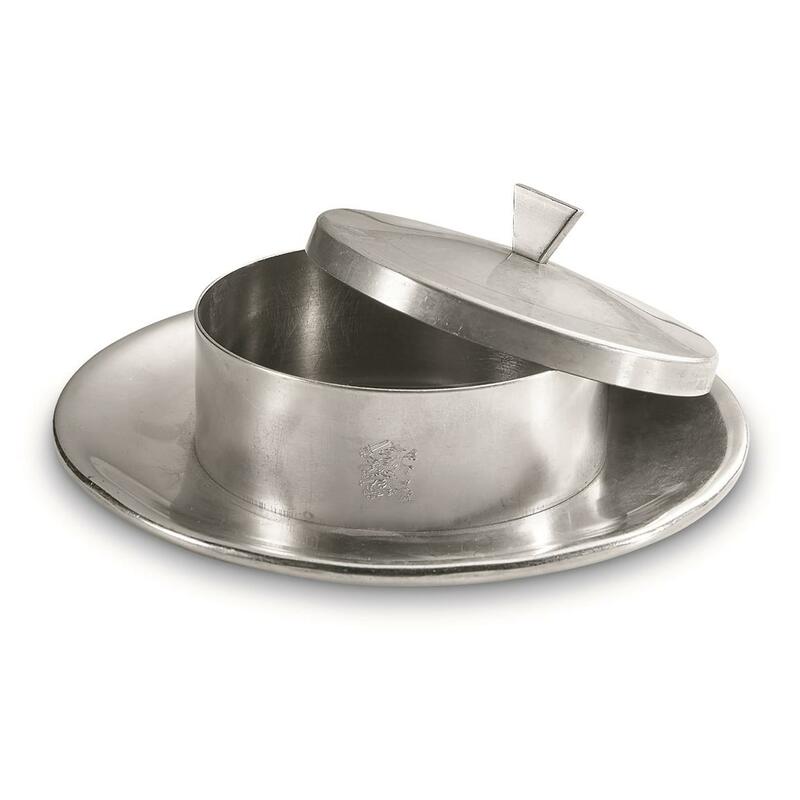 Cool, classy and covert desk accessory. In a world where smoking was a part of daily life, this Ash Tray was a must for quickly stashing hot ashes during heated bull sessions. In military circles, it served one other very important function: the destruction of top secret communications. Tearing up and burning small messages could be done safety within this small stainless steel bin. Nowadays it makes a great dish for offering candy or tossing spare change. 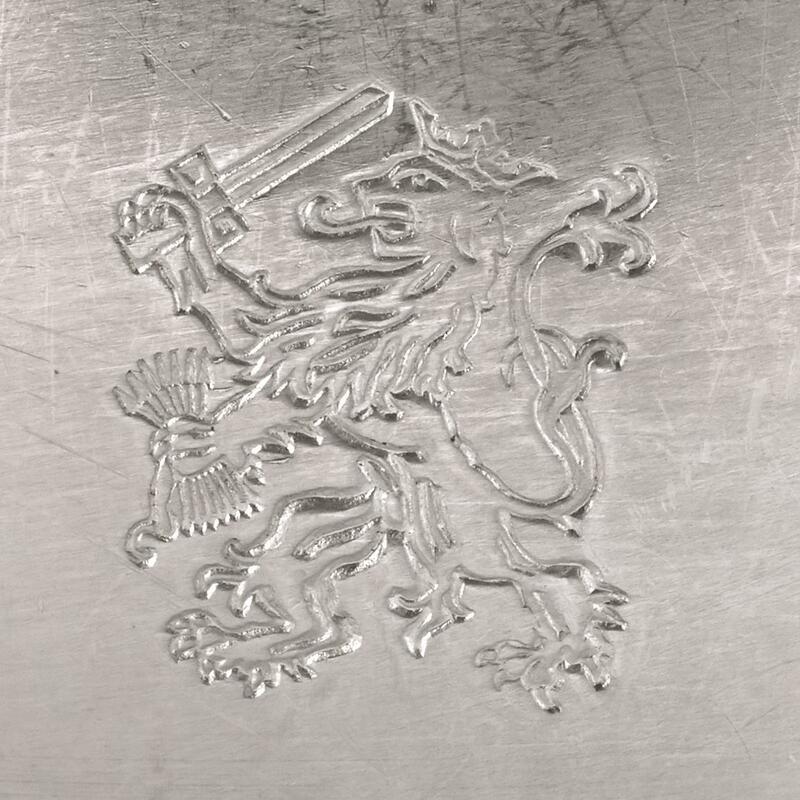 Classy, Old World-style manufacture, engraved with the official Lion crest of the Kingdom of the Netherlands. A rare find for your collection! Order now!